with experience in professional discipline. 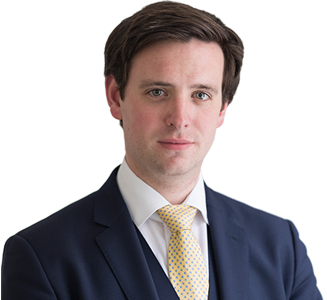 Chris accepts instruction in all of chambers’ practice areas with a particular focus on: criminal defence and prosecution, asset recovery, restraint and confiscation and professional discipline. Chris secured the conviction, for theft and fraud by false representation, of a defendant who had stolen a phone which he then pawned for profit. The complainant had subsequently died, resulting in consideration of hearsay becoming a central issue in the case. Chris represented a defendant accused of assault occasioning actual bodily harm and having an offensive weapon, in a four-day trial with CCTV evidence and lengthy argument on bad character evidence. Secured acquittal of two doormen accused of affray, having taken an unidentified man to the ground on CCTV. Acquitted on dual grounds of self-defence and lack of third party concern for safety, following trial and skeleton argument. Chris was instructed for several months as part of the disclosure review on Operation Hornet, in advance of a large fraud trial at Southwark Crown Court in which a number of defendants were convicted of large-scale banking fraud. Chris was also instructed by the Serious Fraud Office for several months in a large disclosure review. Chris has appeared for Local Authorities in asset forfeiture cases in the Magistrates’ Court. Chris represented a defendant convicted of allowing her partner to use her premises to cultivate cannabis, in subsequent confiscation proceedings. Across three hearings Chris secured an agreed confiscation order reflecting a fairer interpretation of her income than the Crown, applying the lifestyle assumptions, had originally sought. In early 2018, Chris spent five months on secondment with the Nursing and Midwifery Council, presenting substantive hearings and review hearings on behalf of the NMC. He continues to appear regularly at the NMC, presenting cases including a full range of regulatory concerns including health matters, insufficient knowledge of the English language, lack of competence, conviction and caution cases, and misconduct matters including those of dishonesty.